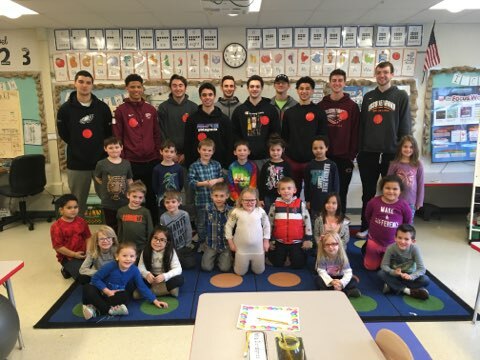 Student’s in Miss McCabe’s and Mrs. Prusch’s kindergarten classes had special visits from the Susquehanna Men’s Basketball Team. Students and players were given two STEM challenges to work together and complete. Each player was paired with two or three kindergarten students and were able to brainstorm, design and create their ideas. Groups competed against each other to create the tallest balloon tower and the most stable basketball holder.